Due to one of our member's request, TARAsia Fan, please do not post until around Saturday. jonnal, I will say what I have stated most clearly on other threads. Noon Saturday East Coast U.S. is approximately midnight going into Sunday for the mainland of Asia. It obviously can't also be noon Saturday. Again, I'm asking for the guys in Asia not to say anything until noon Saturday their time. It would be midnight Saturday here. At 11;59 p.m, Friday, the next minute is midnight Saturday.Taking 11-13 hours difference into account, that would be around noon Saturday in Asia. That's what I've been saying. Ken, then what you are saying and what the official RFF request from puddin DO NOT MATCH. Get with it! It is not before afternoon Saturday East Coast time U.S. that is the official RFF standard. Sorry about those adverts in between! Thank you, jonnal for having these videos up so quickly. We all know how important they are. Dont read if you dont want to be spoiled. I just wonder what you guys think of the race overall, I might be bias because Im from Singapore so I would like to know. Of course its a nice ending for me with Collin & Adrian winning it, but the matter in which they won it was great because it was like a come-from-behind victory or viewed as underdogs right from the start because of Adrian's disability. It turned out suprisingly that it was an advantage as Collin said. They are still humble even though they have won and it seems they know how to differentitate between race and friendships. Of course the only criticism is that they might have not been entertaining/dull which might be justified. Do they deserve it or do you feel other teams deserved it more? Sure, a TV director probably would have liked a bit more drama from them, but I loved the way they just got on with each task in their unassuming way. From some of the jokes M&R made about them always being lost, it sounded like navigating was not their strongest point, but I didn't see too many times when that was critical, and they were always at the front of the pack, so worthy Race winners imo. I did pick A&C early on as a team I would like to win, but by the end I was just wanting 'any team except M&R' - due to a minority of their fan's ott aggressive attitude towards other fans, as much as M&R's own juvenile behaviour. What did I ask? What did I ask? Is this Saturday noon, Asia time? I guess we will have to figure out a better system next season, sorry for those that found out the outcome before they watched the episode. I'm not even that interested in watching it anytime soon. Well I started the spoilers for TARA2 but even I got confused as to where you could talk and where you can't, to the point I had to avoid all the threads here at the end. I was just trying so hard to stay unspoiled for the end and the fret not lulled me into thinking it was safe. But oh well--Google alert prob would have gotten me anyway! But next time--I'm nominating myself to be in charge of what spoilers go where--and we WILL have a better system because I know it is hard when you AXN folks are dying to talk about it right away too. And this is such a unique situation when one group has the episode significantly before the rest of us. I'm thinking a location spoilers only thread that will be safe for us to go into just to spoil the locations, and then some kind of episode discussion thread that is a hot spoiler zone. Maybe a discussion thread that is started post AXN airing but then merges with one after 48 hours for the rest of us? If anybody has ideas let me know and I'll save them till next time. And a thread JUST for the links that will be totally spoiler safe. I love TARA and want to make this a great go-to site to discuss it. We had such fun spoiling the locations early on! But don't worry--I love y'all anyway! And huge thanks to those of you who helped us be able to see the eps--without y'all we would have been left out of the fun! Yes, its probably a misunderstanding due to confusion and Im sorry too. I started it first I guess. I thought if I posted the videos early we could have talked about it as soon as possible. But little did I know that it had to be fixed sat noon time to post here in Asia. Yeah, I suggest it be different threads for the videos, the spoilers, the discussion for those who have AXN ones which becomes a thread for everyone after sat noon time, which means those who doesnt want to know has to stay out before sat noon time. Hopefully you guys wont be too upset about it, especially TARAsia Fan, Sorry! I personally like to be spoiled first if I dont get to watch the show first b4 watching it at a later time. Its a matter of preference really. Anyway, thanks for watching TARAsia and hope you will still have a nice time watching it! Actually jonnal we need to stick to the Sat 9PM EST please--I think that I am not the only one who didn't want to be spoiled. So if you could leave your title to reflect that please? We will change it next time but our agreement this time remains Sat 9PM. Thanks! Like peach said, thanks for all the info and videos and spoilers that you brought to us, whats done is done, no matter all is good we will do it some other way next season its no ones fault. Ok its done, Im fine with it, no problem. Lets move on. If they're casting for a TARA3, then I would think they would start taping around June. Thanks! But Im still relatively new here so it doesnt have to be in public, you private message was actually good enough! Anyway its over but actually come to think of it birthdays are not supposed to be about ourselves because its actually our parents who suffered to give us life on that day, especially mothers. Heres what peach requested but as you can see its been buried since then and really who is going to go back to read the rule or even better try to search for a rule before posting, things will be different next season, we'll figure it out like a seperate thread for AXN viewers then one for us in the states that do not want to be spoiled until the show is uploaded somewhere. Okay guys--heads up! New rule! We have an unusual situation here in that some of you are able to see the episode before the ones of us here in the US have any way to grab it. So we are going to ask your cooperation in not spoiling the episode for those of us who can't see it immediately. And yes, I spoiled a lot of the episodes and yes this is a spoiler thread but still I like a little surprise! So after talking it over with puddin, we are going to try a 48 hour rule to protect the innocent. So until 9PM EST on the Saturday following the Thursday episodes--please use spoiler bars for any "spoilery" info from the latest show--especially who comes in first and who is eliminated. To do that here --highlight the text that needs spoiler bars-- choose CHANGE COLOR from the drop down box above--and when you get this[ color=black][ /color] delete black and type in white which essentially makes the post invisible--so say spoilers or something so we don't think it is empty! After that it will be up to us to stay out of the thread if we haven't seen it--but hopefully that will give us time to find a way to watch each week--so if you have a link--any link--please PM me and I'll distribute it around, okay? jetqabriel, it's by no means a new rule. It's been in effect for almost 3 months. 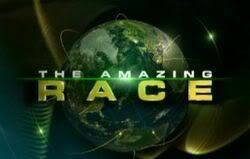 There are several new members, yourself included, who have committed what I consider to be the cardinal sin of not reading the entire threads of Amazing Race Asia before joining into the discussion. You can't toss it off as violating a rule you didn't know. It was a rule you made no effort to find out about despite the fact that puddin sent out a reminder AFTER you did join the discussion. My diatribe is not aimed just at you. There are many others in the same boat with you who did not make that effort either or disregarded what they read.